Probiotic drinks have always been a part of my son's diet. He has a sensitive tummy and it easily reacts to some foods. 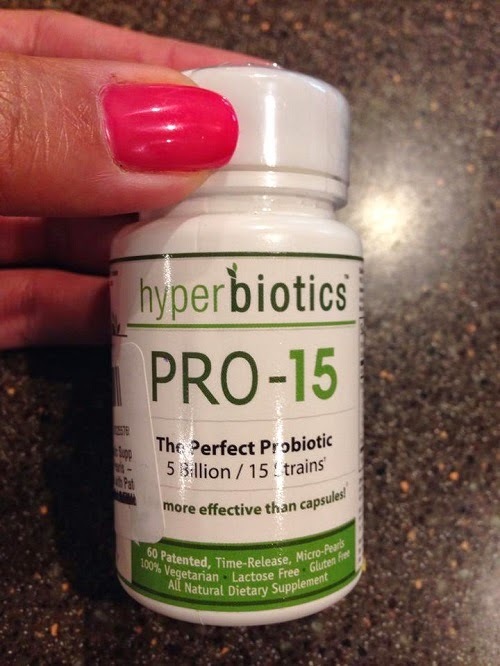 Today, my review is about Hyperbiotics PRO-15. IMPROVE YOUR MOOD AND ENERGY LEVELS. Fatigue and irritability are often a result of poor vitamin and nutrient absorption. PRO-15 Probiotics Supplement helps create a microenvironment inside your digestive system that promotes full mineral absorption so you can finally feel like your happy, energetic and vibrant self. RELIEVE YOUR SENSITIVE STOMACH. 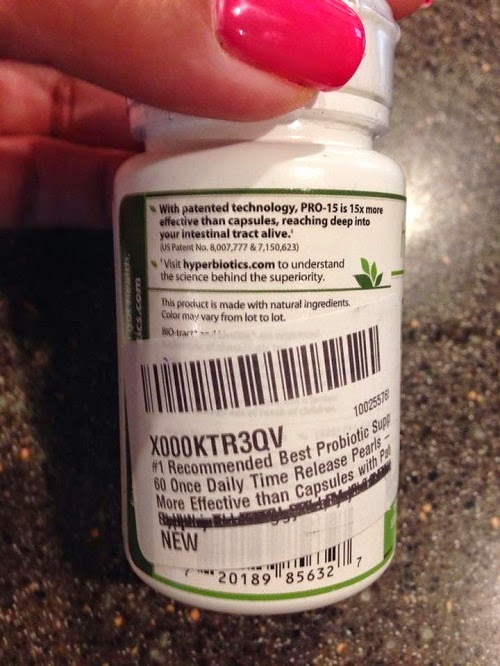 Hyperbiotics PRO-15 is released at consistent levels throughout the day and throughout your Gl tract; whereas other probiotics supplement capsules more closely resemble a bomb being dropped in your upper stomach - releasing all organisms at one time, often causing upset such as bloating, gas or diarrhea. GET & STAY WELL. 80% of your immune system is in your gut, and when probiotics (the good guys) are abundant in your body, it's harder for the disease causing bacteria (the bad guys) to settle in. 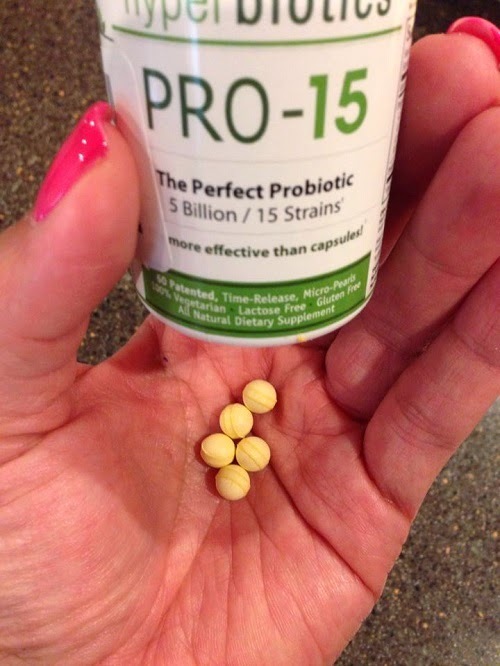 PRO-15 Probiotics restore beneficial bacteria for optimal digestive and immune health, help control yeast and candida overgrowth and promote daily relief from allergies, gas, bloating and constipation. Life should be easy. I am so glad I was given the opportunity to review the supplements because I am always interested in using natural options for my family. While the probiotics drink my son takes keeps his tummy strong, the little pearls are convenient. He's been taking it for almost a week now and so far, so good. He says he feels he has more energy and he moves regularly. He also doesn't feel bloated when he drinks a lot of water. He tried eating a spicy dish and his stomach didn't react to it. He now feels that he can eat anything he likes without having to worry that it won't agree with his tummy. 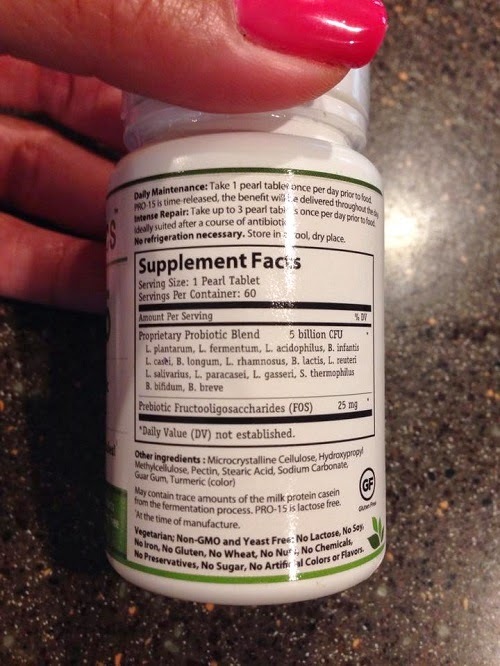 Hyperbiotics PRO-15 offers many health benefits and it is 15 times better than probiotics in capsule form. It has no additives and 100% natural. The little pearls have a longer shelf life than other probiotics and they don't need to be refrigerated. It's easy to swallow and only taken once a day. If you're having problems moving regularly or your stomach is too sensitive and easily reacts to food, I suggest you try taking these little pearls. Buy it now on Amazon! For more information about the product, please visit Hyperbiotics.